Synopisis (per Goodreads) found here. This is #4 of the Expanse novels by James SA Corey (my review for #3 here - blog didn't exist for me to review #'s 1 and 2). You can read Cibola Burn without having read the predecessors, but I wouldn't recommend it (the series is good stuff - read it). Everyone has their own "the mall." Generally it's a localized event and when one person says to another "I'm going to the mall," the other person knows they mean Menlo Park, not Freehold or Woodbridge. We hung out there as kids, shop there as adults, use it as a distraction as parents. It's comfortable. Sure maybe the Disney store relocates, but all we need is a sign that says "moved to the upper level near Nordstroms" and we know what it means - no map necessary. And maybe we stop for an Auntie Ann pretzel on the way. Now, I am generally not a science fiction guy (for the most part - my Goodreads library shows generally 4:1 in favor of Fantasy). Sure, I'll read the odd Star Wars novel (more based on the author than anything else), and I'll watch the Star Wars and (new) Star Trek movies (was never a Trekkie - nor have I watched Firefly - I probably shouldn't admit to that). But, the Expanse novels have become "the mall" for me; my go-to sci-fi read. Science Fiction I'm comfortable with. And though each of Corey's novels have some changes - some new characters and a new cross-genre - Holden and the crew of the Rocinante are comfortable now (must be how Trekkies started to get attached to Piccard or who have you - I'm not starting that better Captain debate). 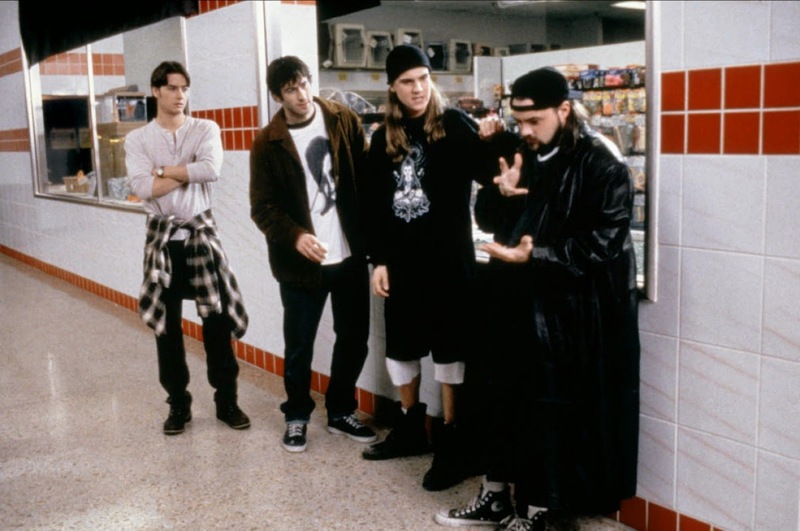 I mentioned "new cross-genre" in terms of a relocation of store (or perhaps what would be more apropos would be connection to a new store. Something within a familiar landscape, but in itself is new and exciting). You see, within each of the Expanse novels, Corey sets the story against some non-traditional sci-fi genre archetypes. Leviathan Wakes touched on horror. Caliban's War was heavy into politics. Abaddon's Gate was more traditional science fiction. Cibola Burn - well, here's our science fiction Western. 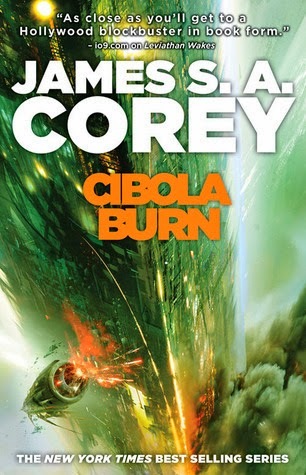 Like the other Expanse novels, Cibola Burn is at a break-neck pace, and I maintain that this series is the most movie-ready series out there (though it has been picked up by SyFy to be a television series - perhaps we'll get a blockbuster movie or so out of it anyway). I'm realizing there is very little "review" in this review. If you're a fan of big-budget action/adventure movies - read these books (even if sci-fi isn't necessarily your thing). 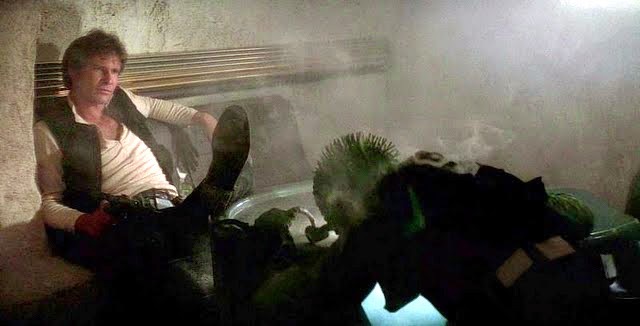 I give it... Han shot first. It's tough to write a traditional "review" review for the 4th book in a series, because you don't want to give away spoilers for people who haven't read the previous books! I love your reference to certain kinds of books being your "Mall". I appreciate that you mentioned someone *could* start with book 4, but you wouldn't recommend it, because I feel the same way. You *could*, but you'd be missing the good stuff. 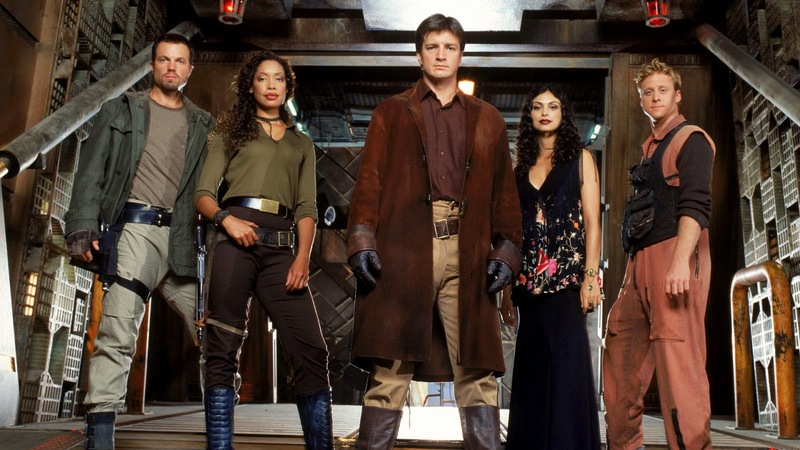 So, if each book in the series is going to be a little different (horror, politics, western), does that mean they are going to do an Urban Fantasy? LOL! I try to avoid being spoilery. I usually just put a break and highlight spoilers will be talked about from here on if I feel the need to talk about them. But, yeah, that makes talking about later books more difficult. Maybe that's why my reviews lately have been more about how books made me feel and less about content of the books. I could totally see them going Urban Fantasy! Some city on Mars and protomolecule vampires or something.